An odd piece of news last week was that Colombia is now one of the fastest-growing countries, popularity-wise, for Europeans to take a holiday to. The reason: series like Narcos show how beautiful that land is, and with the civil war gone (and the drug-news being scarier in Mexico), people are flocking to visit it. A beautiful country it is indeed, and the film Birds of Passage will do little to dissuade that fact. 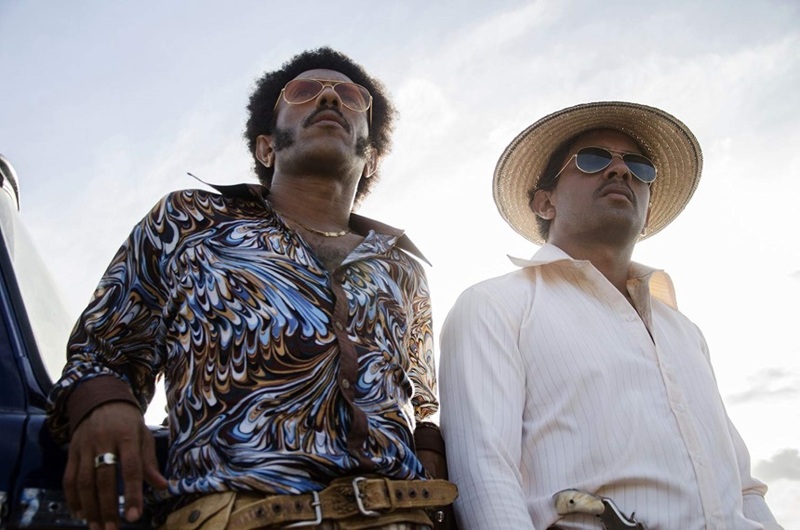 Like Narcos it tells a story about Colombia's drug trade, but that's where all similarities end. Here, the focus lies on the indigenous people in the deserts of Northern Colombia, and how the sudden influx of money and violence changed them. Then one day, Rapayet discovers that by selling marijuana to Americans in bulk, he can actually make enough money to achieve his goals. He returns to the Wayuu as a rich man, marries Zaida, and brings prosperity to her family. But as his wealth and influence grows, so do the stakes, and jealousy and greed rear their ugly heads. Worse even: the meaning of respect and traditions change. Directed by Cristina Gallego and Ciro Guerra, Birds of Passage is an ode to the culture of the Wayuu. The depiction of the disappearance of a people's traditional identity through outside influences plays out like a tragedy, just as it did in their previous film Embrace of the Serpent (of which you can read Patrick Holzapfel's review here). Just check the difference between the way conflicts are settled at the beginning of the film, versus how they are settled at the end. The early part of the film is almost a documentary about the Wayuu way of living as it was in the 1960s. It looks amazing, and while Embrace of the Serpent was in black and white, here we get bombarded with brilliant, bright color. Natalia Reyes and José Acosta make for a fine and likable central couple as Zaida and Rapayet, and their courtship initially seems like a legend or fairy-tale. Indeed, dreams, visions and premonitions play a part in the story, and while that approach could have been hokey, here it is just beautiful. Birds Of Passage could so easily have been just another rise-and-fall gangster tale, but Cristina Gallego and Ciro Guerra work wonders with the setting, the background and the focus of the story. 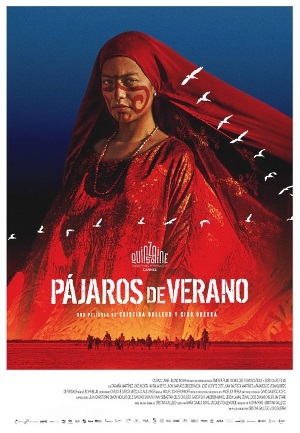 By showing the beginning of the modern drug trade (rather than re-visiting its heyday again), and showing it from the point of view of the Wayuu, this film is something special indeed. Highly recommended! Birds Of Passage played at the Shivers film festival in Konstanz, Germany, where it got into the audience-ratings Top-5. The film is planned for a US release on February 13th. Exclusive Clip: EMBRACE OF THE SERPENT, "Now He Will Cure Us All!"